BLOOMING OUT is a clown show that explores in a light and comic way some of the most intriguing moments in the whole feminine universe. The fascination of beauty, the girly plays, the first time putting on make-up, the body’s development including its feminine parts, the arrival of the period, the first kiss, maternity, love, the demands and social taboos, work, the oppression and fear, happiness and growing old; these are some of the many fascinating and scary themes that build the story of this plot. BLOOMING OUT is a clown show using only non-verbal language, creating touching scenes of great power and beauty. A celebration of being female and feminine interpreted by two Brazilian clown women. 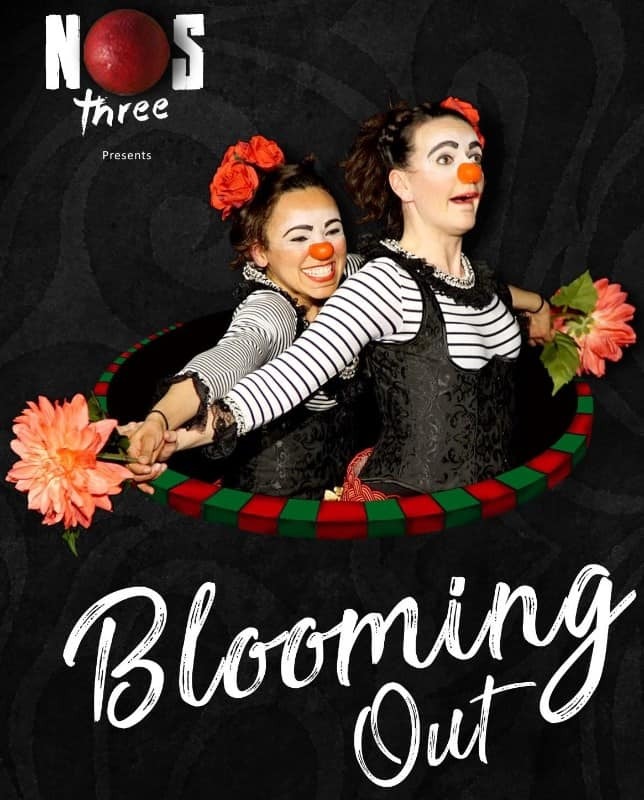 Blooming out is a new piece of theatre based on the research that Bianca Bertalot and Maria Aguiar developed about the meanings of the feminine universe. Choosing the clown technique, the actresses embrace the disparate themes of this universe, such as fragility, physical transformation and love. The piece does not use the verbal language, but solely of physical theatre and music. This peculiar clown technique allows the audience to experience in a direct way the physical emotions of the themes presented.